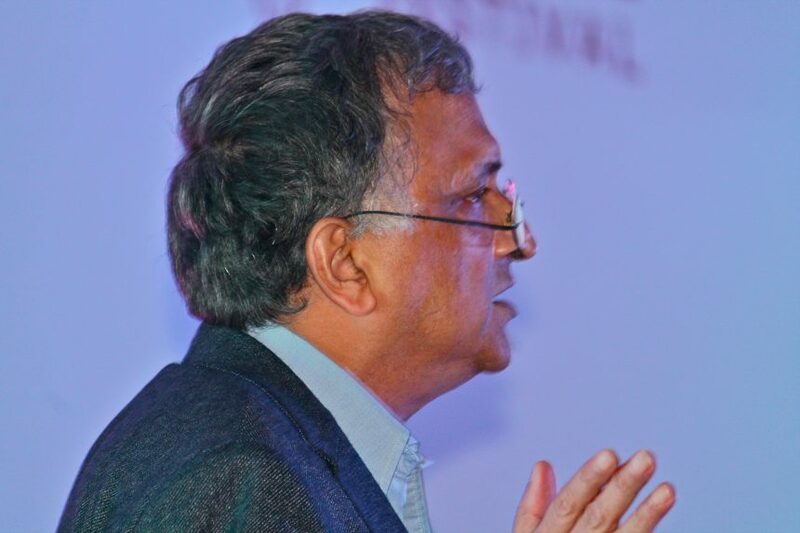 Ramachandra Guha gave a riveting talk on freedom of expression in India and the threats it faces on day 1 of the Bangalore Literature Festival. The ‘India After Gandhi’ author was equally critical of both ends of the political spectrum, and made his centrist, liberal position very clear. So how free are we? Are we even free enough to question the magnitude of freedom of expression we have? How democratic is India? In ‘India after Gandhi’, Ramchandra Guha had described India as a 50-50 democracy. This 50-50 balance is created by the presence of institutions which nurture democracy as well as the ones which weaken it. Redundant colonial laws – The laws related to freedom of expression were formed in 1835 during the colonial rule. Since then, a few amendments have taken place which are not enough to protect our right completely. Imperfection in judicial systems – With the presence of people like Dinanath Batra, who files his petitions against creative products from Dera Bassi, freedom of expression will remain threatened. Besides, the judges at this level of judiciary are too quick and ignorant to entertain such cases. Identity politics – We have become a nation of grievance collectors. Icons of each region, caste or community have been perceived as flawless. Bose for Bengalis, Shivaji for Maharashtrians, Periyar for Hindus, Ambedkar for dalits are examples of figures on whom nobody can write and fearlessly juxtapose their failures. Gandhi is the only great Indian on whom anyone can write anything. He belongs to everyone and no one. Behaviour of the police force – A book that claimed that Shivaji may not be a Marathi was banned after a few extremist groups filed a case. The ban was lifted later on but the author realised he was not safe from those extremist groups. Yet, the Maharashtra Police refused to give him security. No major or minor politician has supported Indian writers/artists have never stood up for the rights of writers. ‘Satanic Verses’ was banned even before the fatwa was declared against Salman Rushdie. Dependence of media on government ads – This takes place especially in the regional and sub-regional press. This makes it less likely that there will be free and fearless journalism. Dependence of media on commercial ads – This, as Guha says, is extremely dangerous to freedom of speech, and is a growing issue in the media today. Careerist/ideologically driven writers – A writer must be free from all the political groups. According to Guha, is rather foolish to mortgage your conscience to any political group/party. These factors undermine India’s democratic credentials. We are surely much better than totalitarian regimes like China but as much as we have to be higher than China on the democracy spectrum, we also have to look and reach out somewhere close to a country like Sweden. The author started off by calling India a 50-50 democracy and in the end when he addressed the question whether we have become better or worse in the past 18 months, he said, “Based on what we have seen, there was no golden age for freedom of expression, but the position is somewhat worse because writers have not only been banned, but have also been murdered and physically eliminated.” Moreover, citing examples of Smriti Irani, Pahlaj Nihalani and Gajendra Chauhan, he called the current ruling government as the most anti-intellectual and one with contempt for literature, scholarship and merit. Hence, while concluding, he called today’s India a 40-60 democracy.